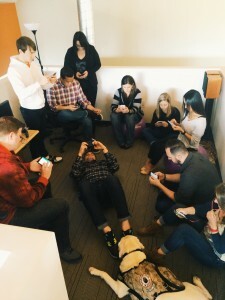 PORTLAND, Ore. (April 1, 2015) – In honor of the rising worldwide focus on mobile functionality as a search ranking signal, Anvil, an integrated marketing agency specializing in search engine marketing, social media marketing, and analytics, is pleased to announce their recent move to an entirely mobile workplace. 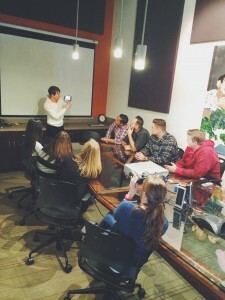 Now the team delights and elevates clients exclusively from mobile smartphone devices. This move has come as a surprise to some from among the company’s ever-growing roster of clients and partners, but the enthusiasm and positive ROI results that the Anvil team provides continue to win over skeptics. The Anvil team will celebrate the shift with the hashtag #anvilmobile. Those interested in following the evolution of this change can monitor the #anvilmobile hashtag on Twitter as the Anvil team raises awareness for the new office setup, the importance of mobile friendly website optimization, and as the team shares their enthusiasm for mobility in the office.